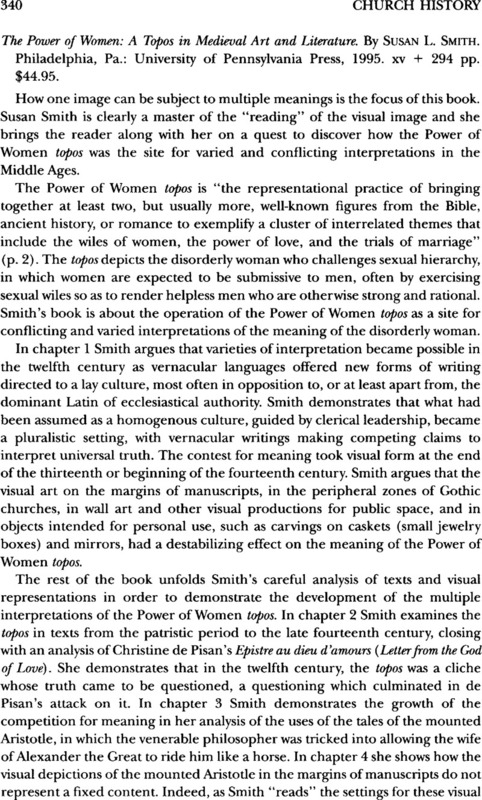 The Power of Women: A Topos in Medieval Art and Literature. By Susan L. Smith. Philadelphia, Pa.: University of Pennsylvania Press, 1995. xv + 294 pp. $44.95.